Helfrich succumbed to some sort of Machiavellian alter-ego and the Ducks failed on 4 of 5 two point TD conversion attempts. 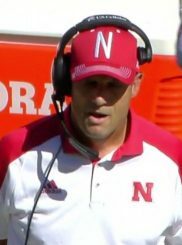 The start of the streak of opponents scoring to end the first half and to start the second half for a quick 14 – 0 momentum changing shift in the middle of every game. Royce Freeman, Tyrell Crosby and Devon Allen get injured; Crosby and Allen both out for the season. Helfrich and a probable good majority of the Ducks’ historically long-tenured staff is let go. Oregon’s highly celebrated ‘culture’ as in the Kelly era crashes and burns. Oregon fans are not unabashedly questioning Helfrich’s in game strategic capabilities. Crosby anchors the young Oregon line to leading the Pac-12 in rushing once again, and the Ducks’ penalty problems improve as Cameron Hunt is permanently benched until he learns to not be a yellow laundry magnet a few more games into the season. Darren Carrington scores more TDs in this alternative universe. Freeman leads the Pac-12 in rushing as Oregon once again has a 1000 yard rusher. Despite graduate transfer Dakota Prukop being wildly inaccurate on deep balls on occasion, Allen has almost 1000 yards receiving, becoming a semi-consistent deep threat as projected for the track star. Oregon’s defense gives up an historic number of points, but the decade long Ducks offensive scoring machine continues and Oregon is able to outscore every opponent other than the, as predicted, strong Chris Petersen led Washington team, a resurgent and talented USC squad, and those damn surprising Cougs the Ducks have struggled with in the last several years. 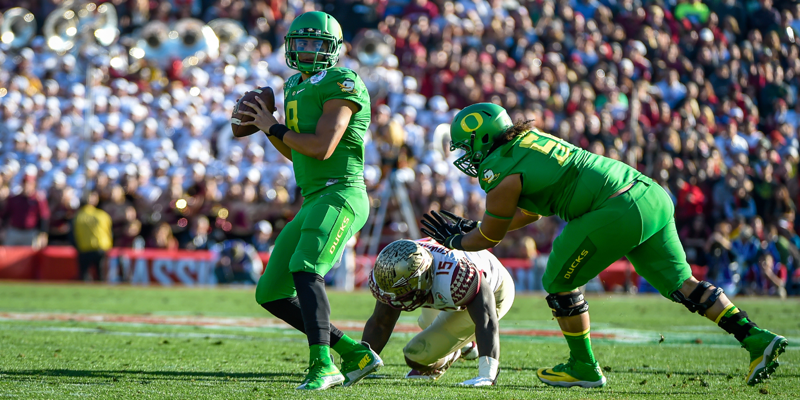 The Ducks finish 9 – 3 for the season and look for a bowl win to get to double digit wins once again. Oregon is invited to the Holiday Bowl and while some fans are disgruntled about the historically bad defense, most are looking forward to seeing the growth in a young team in 2017, most notably defensive player of the year Troy Dye and backup quarterback Justin Herbert from his strong play in his relief appearances of Prukop. A decent percentage of fans groan at Helfrich’s year end press conference when he announces no changes to the staff, specifically on the often shredded defensive side of the ball, but at a possible 10 – 3 with a bowl win, who can really complain? “Win the Day.” “Row the Boat.” Action verb motivational credos that say to each person on the team, “I Do, Then we become successful. As opposed to “Trust the Process,” which makes me think of waiting around for somebody, or something, other than me in order for “success” to “happen;” success not being in my control. And what exactly is ”the process” I am waiting around for, and trusting in? I never actually heard what “the process” was suppose to be. Was this just me, or did you get the same feeling from it, also? Helfrich is such a nice guy, and deflects all praise from himself to others, that after Kelly left he made Marcus Mariota the example and “guardian” or “standard bearer” of the “Oregon Way” culture. The problem is that all players, even Marcus, graduate and move on. And if there aren’t players to which you can successfully pass on the torch of “winning culture,” then the culture leaves with the player. This is why all dynastic college programs in any sport are known by a program defining coach, not player. The player leaves and the coach stays. 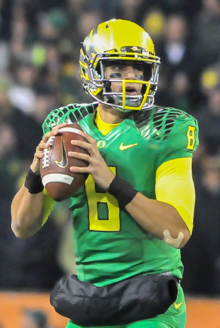 The Oregon “culture” deteriorated after Marcus left because Mariota was the designated culture ‘bearer,’ not Helfrich. This is why it takes a strong personality to be a successful head coach at the major college football level. My guess is if Helfrich gets another shot at a head coaching gig he will have this figured out. Or else he’ll decide he just wants to be a great “dad,” or schematic wizard OC, or go back to med school, any of which is at least as wonderful a life decision as being a college football head coach.